Bomb it 7 - a new chapter of Bomb it series is now available at Friv 4. 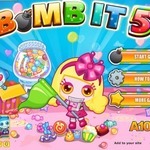 Place more and more bombs to eliminate your foes. Enjoy! 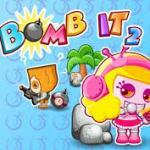 Game des: If you have conquered all the previous seasons of Bom it series, now it’s perfect time to dominate new Bomb it 7 at game friv4. More functions, more fun, it never lets you down. At this chapter, you will have a lot of new playing modes which bring you hours of joy which are Arcade, Destroy all enemies, Battle Royale, Destroy 10 enemies, New - Pacman, Collect 100 coins, Star collector, Collect all stars, Iceman, and Freeze 10 monsters. Each mode has its own unique. You can walk through them all, can’t you? Let’s place tons of bomb and defeat every enemy. More interestingly, you don’t have to control the character with default clothes anymore. You will have a chance to deck it out with many fashionable outfits. If you want to play more similar games, jump into the friv 2017 game online and check out https://friv4school2017.net Much fun! 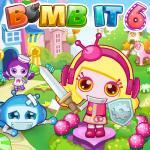 Bomb it 7 offers the two-player option, so you can enjoy this game with your friends. If you want to play more games, play Bomb it 6, Bomb it 4 & Blastarena.io. Are you sure to walk through all modes? Check it out! If you are playing as single, you use “Arrow keys” to move, “Spacebar” to place the bomb. In terms of the two - player options, the first player use “W, A, S, D” to move and “Space bar” to release the bomb and the second one use “Arrow keys” to move and press “Enter” to drop the bomb. Haha! Welcome back to the Bomb it series! 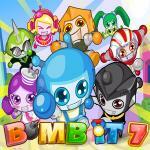 Bomb it 7 promises to bring a lot of experience to players. In particular, this game has been improved and upgraded many new features that will help players relax while playing this game. There are 5 models in total for you to choose such as Arcade (Destroy all enemies), Battle Royale (Destroy 10 enemies), New Pac-man (Collect 100 coins), Star Collector (Collect all stars), Ice man (Freeze 10 monsters). With each model, you will enjoy many unique experiences and train your intelligence or skills in life. Don’t forget to choose the player mode: 1 player or 2 players, number of enemies and levels. 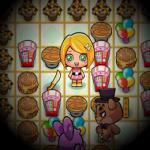 Have fun at friv online game! Arcade mode: Woa! 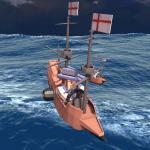 This model’s graphics are very cool with colorful and lively images at game friv online. Here, you will have three lives and a limited time (179 seconds) to complete this challenge. 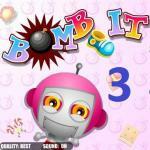 Your final mission is to place bombs in the right positions and destroy all enemies in the level. Be more careful with bombs everywhere because they will explode any time you go through. Besides, you have to fight with three enemies who are trying to kill you by anyway. Try your best to collect as many stars as possible and support tools in the game. Good luck at friv game! Battle Royale mode 1: With Battle Royale mode, your specific target is to kill 10 enemies in 179 seconds at all costs. Before starting this model, you are free to choose the level of difficulty and contexts such as bakery, classroom, forest, beach, Christmas and so on. With each context, it will bring you many interesting emotions in the game. Besides, you also can buy some cute accessories for your character such as hats, clothes, happy face…but you need to earn enough stars to own them. Remember that, freeze 5 enemies in 10 seconds to get 3500 stars, clear 1 level in Star Battle Mode to receive 3500 stars. Go ahead at friv the play! Battle Royale mode 2: This is really a fascinating battle for the players at frivgame 2017. An extremely dangerous enemy has appeared. He is capable of creating a powerful current that can destroy everything in a big space. Therefore, you should be careful and find out his weaknesses to attack at suitable times. Hurry to place bombs correctly and collect many support tools along the way. Note that, if you gain the final win, you have to become the first to kill 10 enemies in the battle. What are you waiting for? Show off your talent at online game friv! New Pac-man mode 1: Collect 100 golds coins in the new Pac-man model at friv game online? YES! This is a difficult challenge for all players in the world. To collect these gold coins, you have to kill many enemies who are very smart and dangerous in the battle. However, you don’t need to worry about this problem because you have three lives in total, so you will be revived if you fail. You should save the lives to the maximum because you can fall into many dangerous and unexpected situations in the game. Are you ready to collect 100 gold coins? Good luck! New Pac-man mode 2: To complete this task, I will have some advice for you. Frist, you should clear some of the obstacles to open the way to the destination. Second, take every opportunity to attack enemies and make them disappear from battle. Third, hurry up to collect as many gold coins as you can and earn enough coins to complete this model in 179 seconds. The last, keep your eyes to get some support tools such as bombs or protective shield. Besides, don’t forget to earn a special symbol that will give you the time bonus in the battle. Conquer the Pac-man mode with your friends at friv best game right now! Star Collector mode 1: Your ultimate goal is to be the first to collect five stars in this model. However, you will have to fight with 3 other talented players to complete this task. You still have three lives, while the enemy has only one life. So, try your best to destroy them and earn as many stars as possible. Don’t forget that you still have a limited time – 179 seconds, so hurry up to get stars before the time runs out in the game. 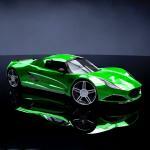 Besides, you should take advantage of every opportunity to earn time bonus and coins bonus in the model. Prove to me by showing your talent in the star collecter mode at friv game online now! Star Collector mode 2: To overcome this model, you need to know some basic principles. First, I suggest that you should kill all enemies, then you should focus on collecting stars. Because your opponents will constantly attack you in any way and place bombs everywhere. Second, clear the obstacles on the way to move easily to the stars. Third, keep your eyes to earn some support tools that can help you avoid being destroyed by the enemy. The last, don’t be too greedy to collect stars, but you also should pay attention to the time before the model ends. Hey! 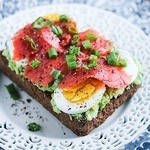 Are you ready to conquer this model? Enjoy at online Games friv! Ice man mode 1: Welcome to the ice world of the Ice man mode at game friv online! Here you will become an ice man who has the ability to freeze everything along the way. In particular, in this model, you will have only one goal - be the first to freeze 10 monsters or enemies. However, to accomplish this task, you have to go through many difficulties along the adventure. Be more careful with every move because the enemy is very strong and dangerous. Don’t forget to earn many stars and buy some cute accessories on the shop. This chance is for you! Let’s play at game friv 4! Ice man mode 2: There are a few notes you should remember to conquer this level in the shortest time. Keep your mind to move wisely and carefully, take advantage of every opportunity to attack the enemy as well as freeze 10 monsters or enemies in the game. Warning! There are many deadly traps that will appear on the path. So, you should pay attention to the yellow triangle icons and stay away from them at any time. In particular, these deadly traps will hide and only appear when attacking the victim. Hurry up! The monsters are encircling you, freeze them immediately. Go ahead at friv online Games!